iDiaper has the adult diaper covers, also called waterproof plastic pants or rubber pants, below. Each one is made out of a different material. They're made to go over the top of other incontinence products. An adult diaper cover or waterproof plastic pant goes over the top of other adult diapers. It is used to catch any excess fluid that the underlying diaper doesn't catch. There are vinyl, polyurithane, polyester, and nylon adult diaper covers - each cover in this category is made of a different material. The Spartan waterproof pant is a cover that helps with bowel control. A lot of times people buy inexpensive adult incontinence products and use covers to try to hold the excess. The better solution is to use a quality product in the first place. That being said, sometimes an adult diaper cover or rubber pant is just what is needed. It is an added extra protection that will ease a person’s mind from worry of leakage. The 3-pack of the Vinyl Pull On Pant is quite popular. The quiet, soft vinyl does not make the embarrassing crinkling sounds. The waist and legs are elasticized for a secure, comfortable fit eliminating leakage. They are antibacterial for improved odor control. And are machine washable and dryable. These pull ons are latex free. The Spartan waterproof pant is a cover that helps with bowel and bladder leakage protection. It is a poly-coated polyester blend fabric that is designed to be worn by either male or female over briefs or undergarments. They can be combined with the Dignity Doublers for an economical alternative to disposable underwear. They are washable and can be put in the dryer. The Spartan waterproof pant is latex-free. 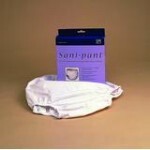 The Sani-Pant Reusable brief is an adult diaper cover made of nylon. This nylon cover goes over the top, usually, of pads and liners. However, it can also be used to accommodate briefs and pull ups. They are available in either pull-up or snap style. 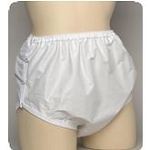 These are washable with soft cotton elastic binding on the waist and legs to prevent chafe or irritated skin. Adult diaper covers like the Sani-Pant can be worn at night when incontinence is usually at its worst. 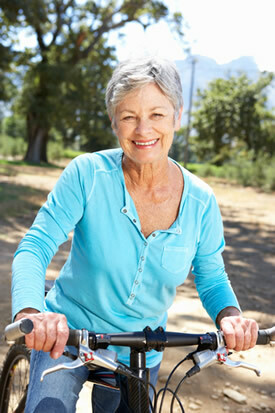 It gives a person with light or medium incontinence the sense of comfort knowing they've got extra protection. And because they are washable, it makes them much kinder to the environment. The Garywear Active Briefs are NEW. They are washable, waterproof yet breathable. The Garywear Active brief is an absorbent product that has a slender new design for a more fitted yet quiet and discrete wear. It has a higher back that keeps you dryer at night. They are easy to wash and quick to dry. Nylon or vinyl adult diaper covers are the most popular, but the polyester Spartan pant works well too. Whether the adult diaper cover is nylon, polyester, or vinyl, it adds that extra sense of protection at night or during the day. And by having that extra protection, these waterproof plastic pants ease any anxiety about leakage. Our customer service staff is available to help you with your selection. Measure your hips and waist, using the larger of the two, review the appropriate brand charts for sizing. Each manufacturer has their own sizing, so be sure to check their charts.